Pepsi Cola Bottling Corporation is about to launch its latest exotic flavor "Salty Watermelon Pepsi", a translucent red drink packed with a round watermelon set before a beach and a blue sky label, in Japan to bring joy and excitement to their summer vacation this July. If you think this might taste weird, think again. Japanese are known to sprinkle salt on watermelon to bring out its taste. So why not transform it in soda? Likewise, Pepsi Japan is also known for their experimental creations in the past like their Pepsi White, which mixes in yogurt, Pepsi Pink with a strawberry milk flavor, and the self-explanatory “Ice Cucumber” Pepsi. 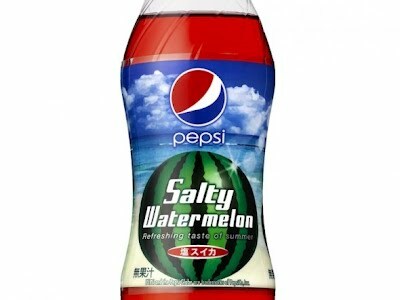 This limited "Salty Watermelon Pepsi" soda is only available in Japan this summer. 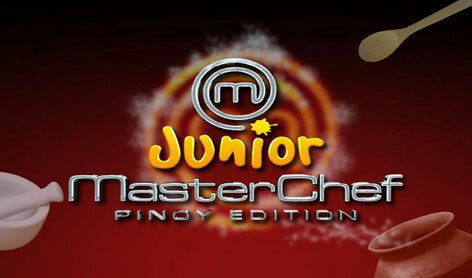 Watch Kusina Master: May 28, 2012 episode as Kusina Master- Chef Boy Logro prepares Crispy Pancit Canton. 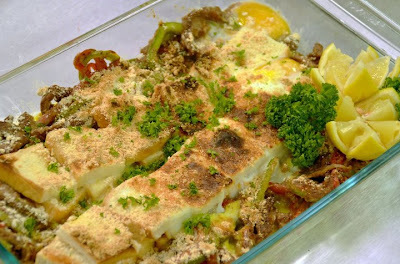 Here's Idol sa Kusina Recipe for Episode 46- SAVORY PUDDING. sausage to the skillet and cook, stirring, until lightly browned, 5 to 6 minutes. Drain on paper towels and let cool. with aluminum foil, and bake until almost completely set, 50 to 55 minutes. 5. In a small bowl, combine the bread crumbs, Parmesan, melted butter, and remaining ½ tsp. Essence. Uncover the pudding and sprinkle the bread crumb mixture evenly over the top. Return to the oven, increase the heat to 375°F and bake until the pudding is completely set in the center, puffed, and golden brown on top, about 20 minutes. 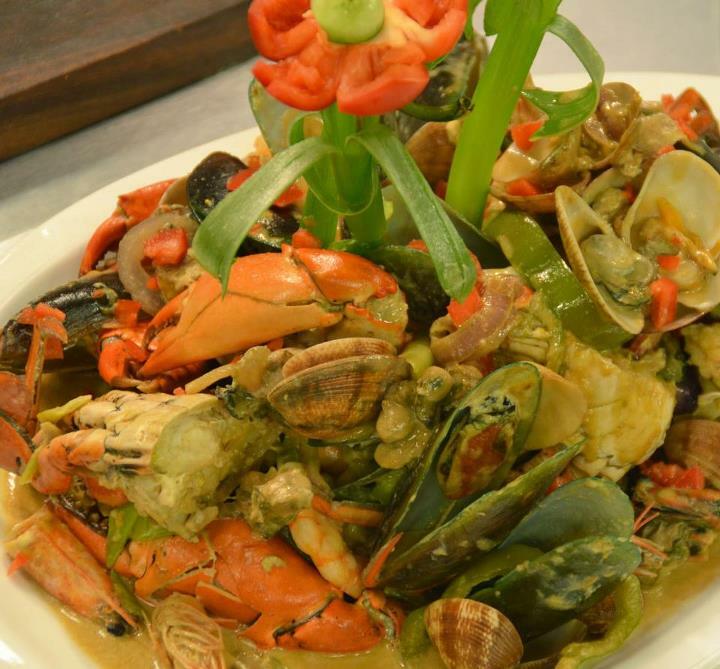 Here's Idol sa Kusina Recipe for Episode 46- MAGIC SAUCY SEAFOOD FEST. 1. Bring water to a boil in a large pot. Add alimango and cook covered for 5-10 minutes (depending on the size). Remove alimango, let cool and cut into serving pieces, cracking the claws. 2. Return liquid to boiling and add clams and mussels, cooking covered for 1 minute. Remove mussels and clams, discarding any that did not open. Reserve liquid. 3. Heat half the oil in a large pan. Saute shrimp for 1 minute and set aside. 4. In the same pan, add remaining oil. Saute ginger, onion, leeks and bell peppers until fragrant. Add Oyster Sauce and All-purpose Cream. Season with MAGGI MAGIC SARAP and sugar and let simmer for 2 minutes. 5. Add seafood and oyster meat to the pan. Cook for 1 minute more and remove from heat. 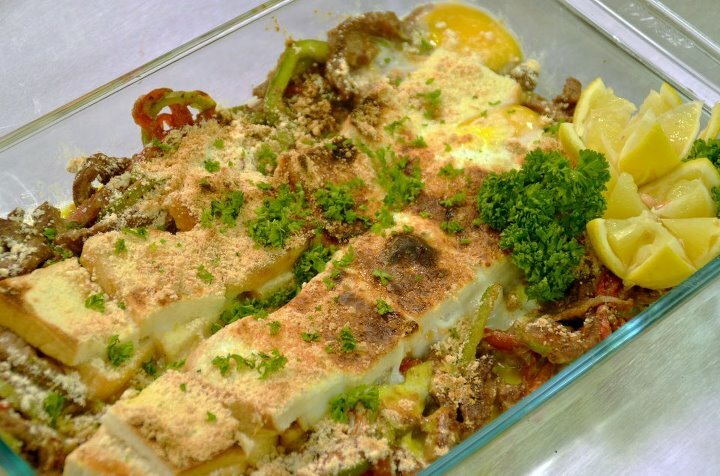 Here's Idol sa Kusina Recipe for Episode 46- BREAKFAST STEAKS AND EGGS CASSEROLE. Here's Idol sa Kusina Recipe for Episode 45- SAVORY STUFFED PANCAKES. 1) Take a bowl and sift flour and salt. 2) Beat in eggs and pour milk to make a smooth paste. 3) Pour the remaining milk. 4) To make the stuffing, melt butter in a pan and stir fry flour. 5) Cook for a minute and pour in milk. 6) Let it boil until it thickens. 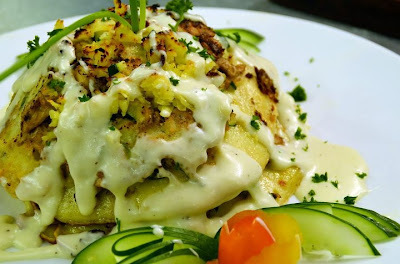 7) Season with salt and pepper and add salmon, spring onions, and cucumber to the sauce. 8) Melt fat in a frying pan and shallow fry 2 or 3 tablespoon of the batter. 9) Cook one side for a minute and top with seafood. Then turn the pancakes so that both sides are cooked well. 10) Continue frying pancakes in the same way and keep stacking one upon another with a greased paper in between each layer. 11) Serve hot with maple syrup or the thickened seafood sauce. 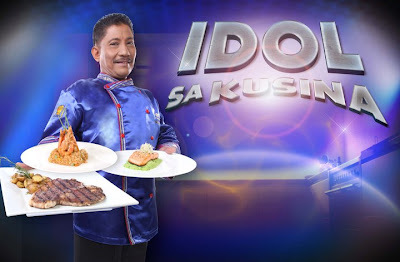 Here's Idol sa Kusina Recipe for Episode 45- MAGIC CHICKEN ALA KIEV. 2.Roll a log of butter over chopped parsley. Place a butter log in the middle of the chicken fillet and roll tightly. Chill for at least 10 minutes. 3.Coat each rolled chicken breast in flour. 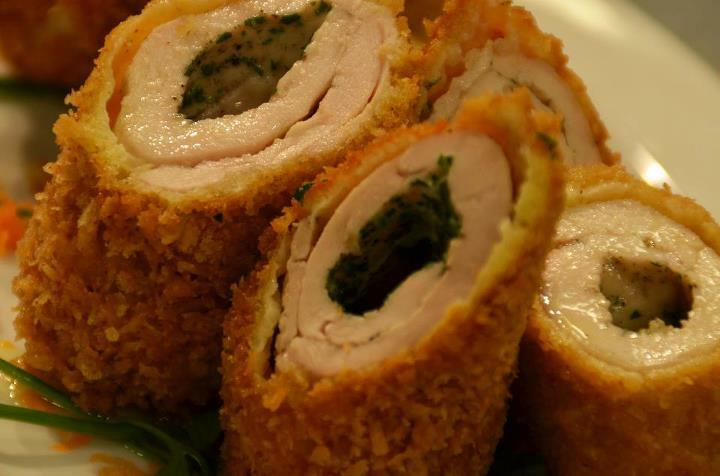 Dip in beaten egg and roll on breadcrumbs. 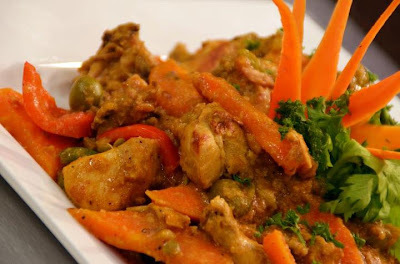 Here's Idol sa Kusina Recipe for Episode 45- CHICKEN STEW WITH PEANUT SAUCE. — at Where was this photo taken? Here's Idol sa Kusina Recipe for Episode 44- NACHOS WITH CHILI CON CARNE. tomatoes and leave to cook down a little for about 5 minutes. to cook for another 5-10 minutes to allow beans to soak up flavors. 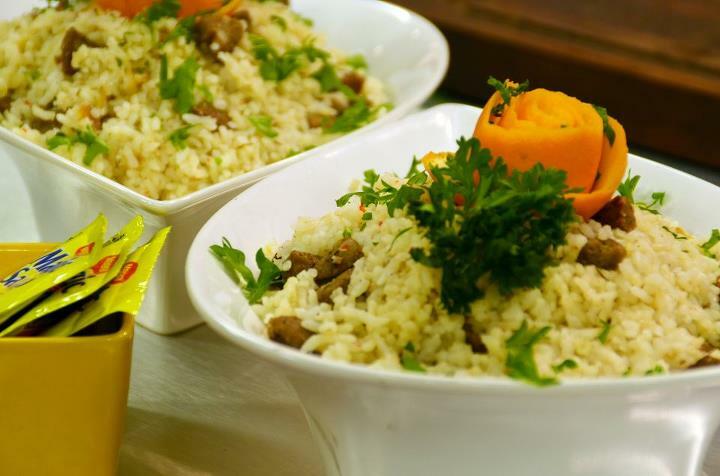 Combine all ingredients in a rice cooker. Cook until grains are tender, mixing occasionally. 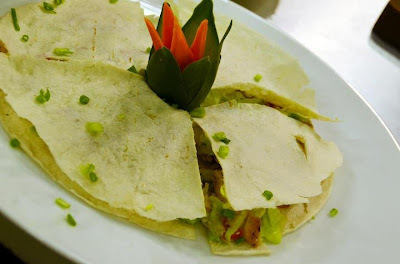 Here's Idol sa Kusina Recipe for Episode 44- QUESADILLA MEXICANA. tortilla and place it in pan. Flip over the tortilla a few times. grated cheese, sprinkle over top of tortilla. Add whatever additional ingredients you choose. 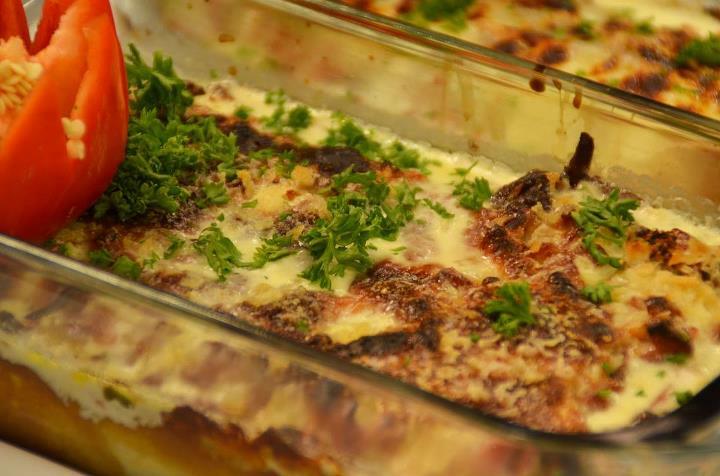 Take care not to layer on the ingredients too thickly. return cover and keep checking every minute until cheese is melted. seconds or so until it gets browned. Remove from pan and cut into wedges. Watch Donita Rose in Kusina Master- May 11, Mother Day Episode. 'Mothers' knows Best.' Meanwhile, Donita tweeted awhile ago that she is about to take off for Las Vegas to be with her family & pursue culinary arts. Donita is expected to be back in August. Another inspiring tweets from Donita "God's will is bigger than ur biggest dream. Don't cut it short (by moving ahead of Him). Pursue Him. Not the things of the world but Christ". During the show Donita Rose said she llikes Chef Boy's english accent and Chef Boy said he stayed in America for 50 years and Donita asked where in America and Chef Boy replied 'in outside'. Ms Donita, where so brave dipping her hand into cooking oil as she was dared and challenged by Kusina Master himself. Video embed only from YouTube. Credit to Kusina Master and the uploader of the said episode. Watch out for Cooking With The Stars on GMA-7. 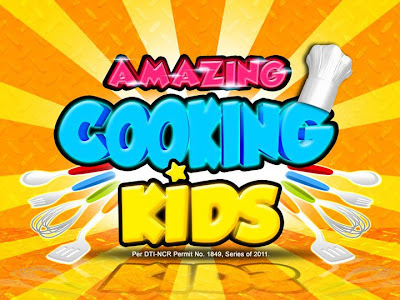 Cooking with the Stars is GMA's upcoming Morning Cooking Show before Kapuso Movie Festival premiering on May 28, 2012. The temperature continues to rise as GMA takes summer to a whole new level this May. We all know they’re capable of acting, singing, dancing, and hosting, but how are our favourite celebrities in the kitchen? 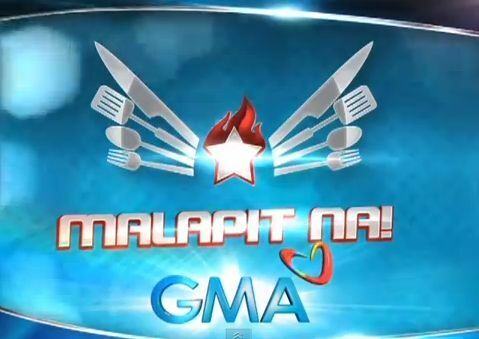 We will soon find out as GMA-7 and San Miguel Pure Foods Company Inc. (SMPFC), are launching a new cooking show that will feature the country’s top showbiz and lifestyle personalities. Beginning May 28, TV host and radio deejay Grace Lee banners “Cooking with the Stars,” the newest addition to GMA Network’s morning block. 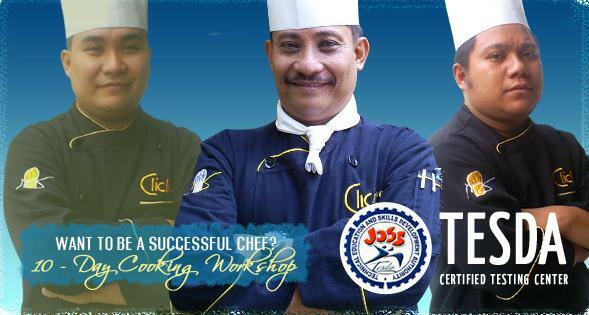 It’s a cooking program that showcases delectable, easy-to-prepare dishes that will have viewers’ nationwide craving for more. A culinary student off-cam, Grace is a perfect fit for the show. “I am very much thankful to GMA and San Miguel Pure Foods for trusting me with this project. I recently finished culinary school and my past time are reading cookbooks, researching recipes – so mahilig talaga akong magluto at mahilig din talagang kumain. Kaya when I eat, I eat with gusto!” she says. Grace adds: “The good thing about our new show is that the dishes are easy to prepare. Pwede siyang gawin at i-serve ng kahit sino – the products that we use are readily available and of really good quality, sigurado ka pa na malinis! Here at the show, we always tell our viewers that for your food to be good, you start with products and ingredients that are delicious, safe and practical at a reasonable price. Sulit talaga if you use San Miguel Pure Foods products. 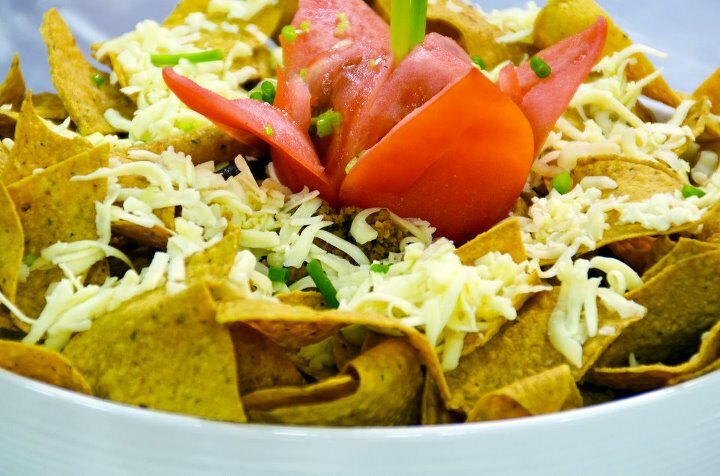 Joining Grace Lee in creating mouth-watering dishes for every occasion are top chefs from the San Miguel Pure Foods Culinary Center, led by Chef Maricel Manaloand Chefs Martin del Prado, Rene Ruz and Kai Verdadero. Of course, it wouldn’t be “Cooking with the Stars” without the country’s brightest stars. 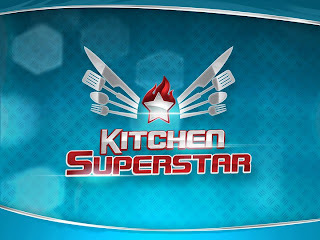 Every episode will feature a celebrity who has a food-related dilemma, which the show’s chefs will solve at the end of every program. Another twist to the show is “Cooking Star of the Barangay”, where the show will visit barangays, bringing with them a live brass band and dancing food servers, which will definitely get residents of these barangays in fiesta mode. To be shot at SMPFC’s state-of-the-art San Miguel Pure Foods Culinary Center, “Cooking with the Stars” starts airing on May 28 every Monday, Wednesday and Friday at 9:55 to 10:05 a.m. on GMA 7, with replays on GMA News TV every Tuesday and Thursday (7:00-7:10pm) and Saturday at 6:45 to 6:55 p.m. 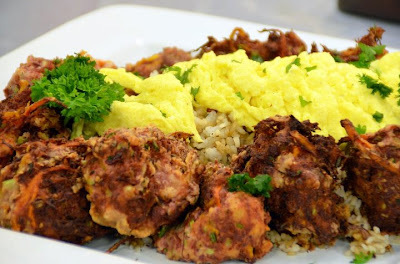 Here's Idol sa Kusina Recipe for Episode 43- FRIED CORNED BEEF BALLS. 1. Saute onion, garlic, celery. Add corned beef. season with salt and pepper. Set aside. 2. On mixing bowl, add bread loaves, spring onion, beaten egg, all-purpose flour. Combine all together. 3. Form into balls and deep fry in hot oil until golden brown and set aside. 4. Saute white rice in butter. Add beaten egg, turn once until done. 5. Place on plate over top with corned beef balls. Garnish with julienne carrots and julienne pumpkin. 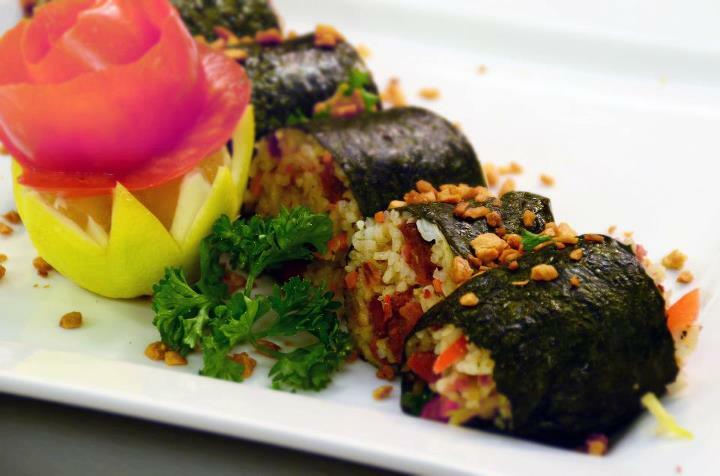 Here's Idol sa Kusina Recipe for Episode 43- MANILA MAKI. 1. Saute in frying pan plain white rice, add crispy chopped garlic. Season to taste and set aside. 2. Grill tocino until done and set aside. 3. Grill longganisa until done and set aside. ginger. Add boiled vinegar, sugar and salt and pepper. 5. Place sinangag on small bowl, and place bowl on long platter. Then cut tocino into thin slices and longganisa into long slices. 6. Garnish with pickled papaya, carrots, bell pepper and ginger. 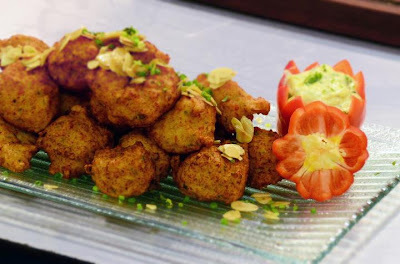 Here's Idol sa Kusina Recipe for Episode 43- MAGIC ALMOND SHRIMP BALLS. 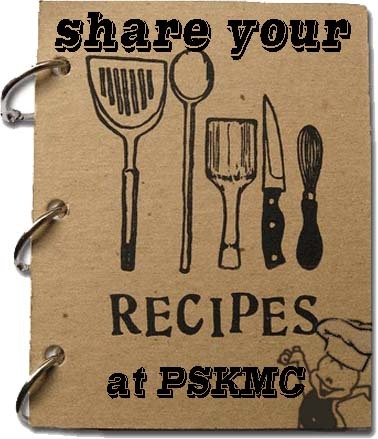 Combine bacon and shrimps in food processor and pulse until coarsely chopped. Add soaked bread and pulse until just combined. Transfer mixture into bowl. Stir in remaining ingredients and mix top combine well. Form into balls and deep fry until golden brown. Serve with mayo.